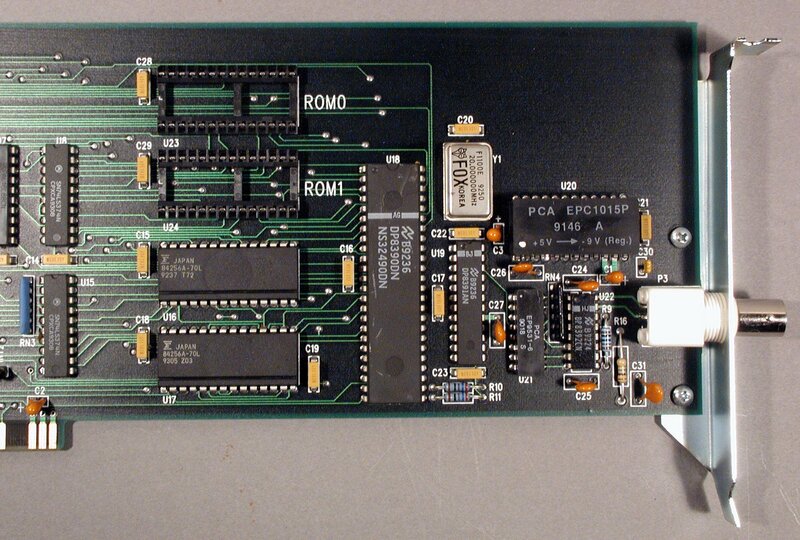 Full length Zorro II network card. 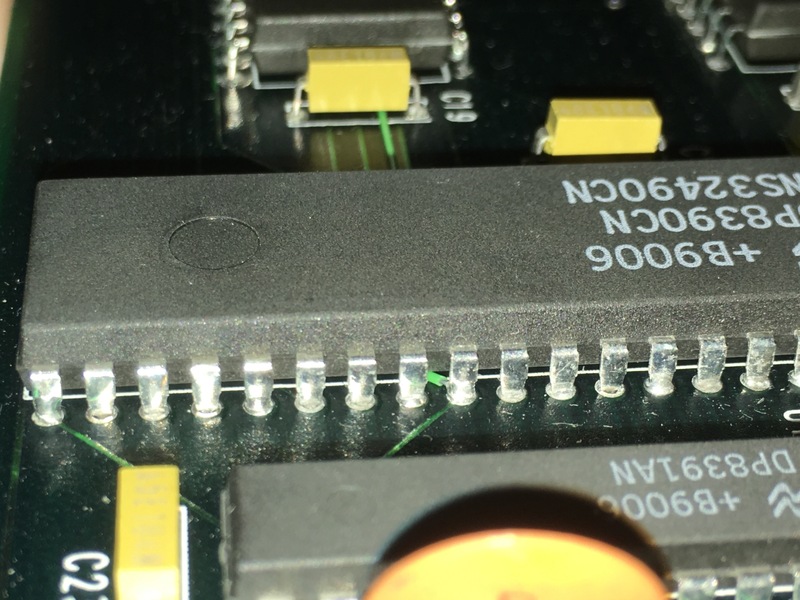 The card has a soldered jumper to change the interrupt from 2 to 6. Also this card does not have a MAC address by default, so this must be set in the TCP/IP stack or using a piece of software called s2util . At least one of the ROM sockets is for adding a ROM containing the MAC address, the other is probably for adding a boot ROM. The early cards were called LANRover but later had to be renamed due to legal reasons. 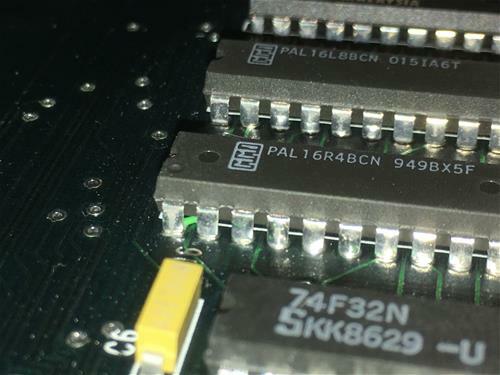 ​An earlier version (pre EB920) has an AUI connector in addition to the Thin Ethernet BNC connector. 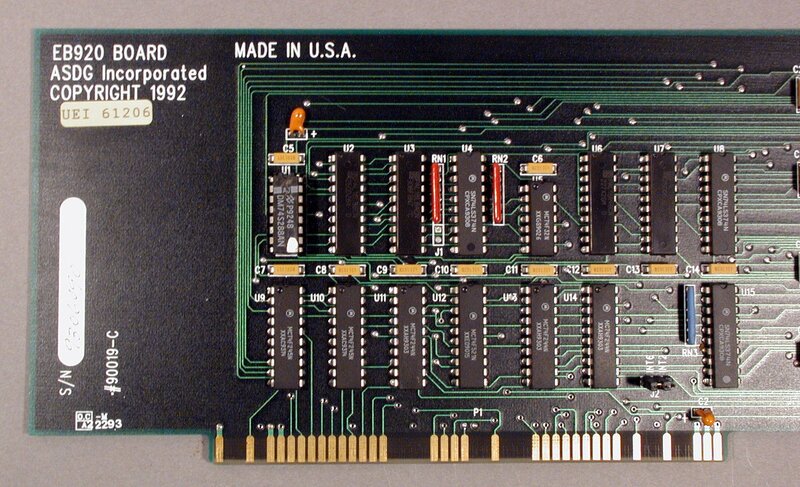 The card is set to AUI in the picture via Jumpers J2-J7 (set facing the back slot plate). To switch to Thin Ethernet/BNC set Jumpers J2-J7 toward the front of the computer/toward the 8390 Ethernet chip. 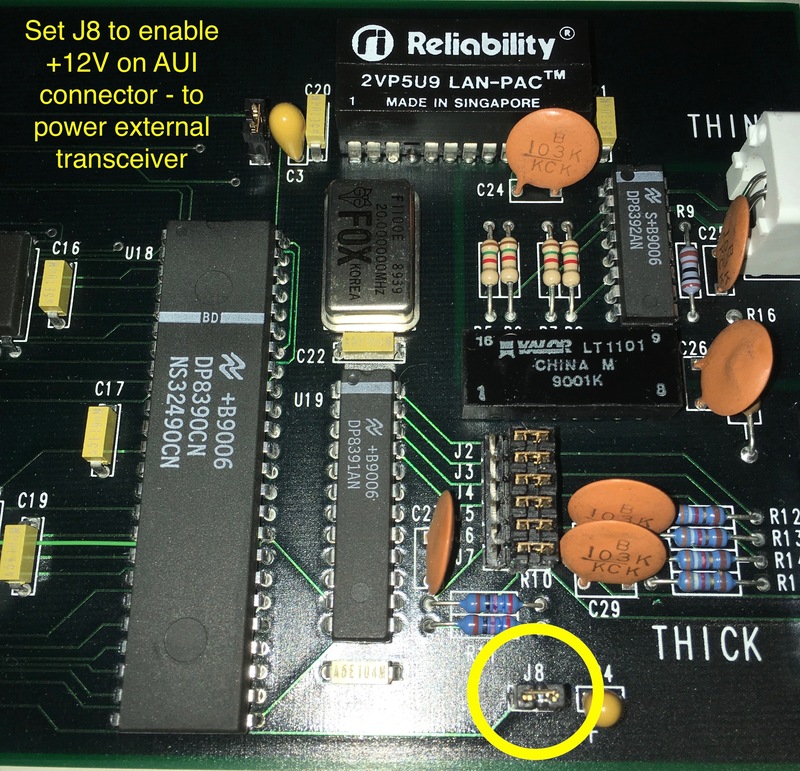 Closing J8 provides +12V on the AUI connector - i.e. 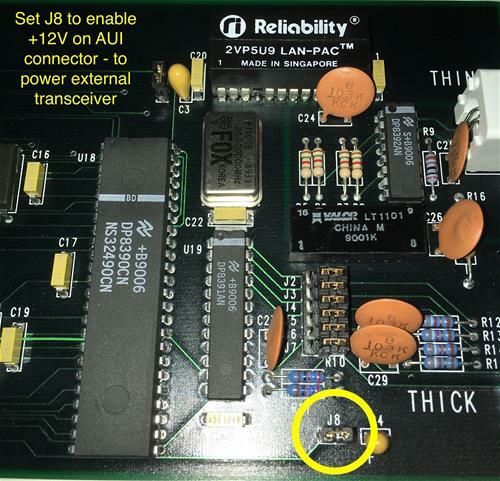 for an external twisted pair transceiver such as the Allied Telesys 310T. ** When using MNI drivers you must set the correct options for the MNI driver. If you have the interrupt jumper set to 2 then you must use "INT=2" if it is set to 6 then you must use "INT=6". 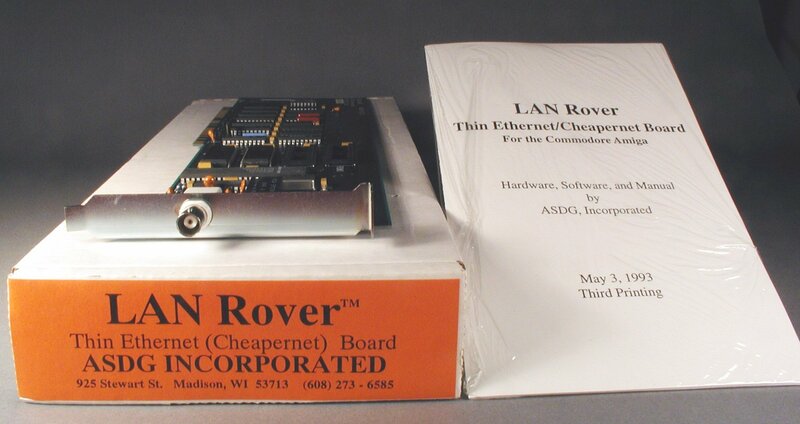 You must also specify a MAC address in software if your particular card does not contain a MAC ROM. Page contributors: Christian Stich, Erik Inge Bolsø, Takahasi Kasiko.